Nanyang Technological University, Singapore (NTU Singapore) and Fraser and Neave, Limited (F&N) have jointly opened a laboratory in Singapore to develop innovative products and recipes for its range of beverage products. The four-year partnership will see about 30 researchers and students from NTU and F&N working together to translate food technology innovations into industry applications for fast-moving consumer goods (FMCG). Research projects range from enhancing food products and processes to developing biodegradable packaging solutions for the food and beverage (F&B) industry. 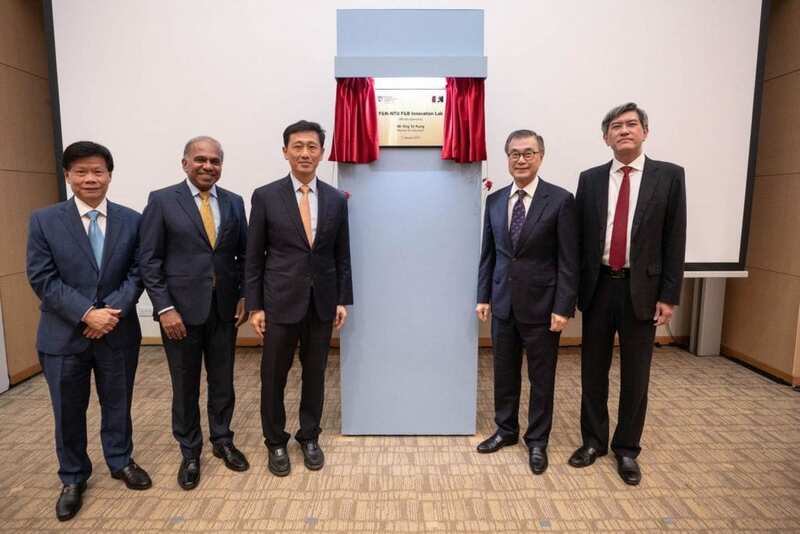 Singapore’s Minister for Education, Mr Ong Ye Kung, opened the F&N-NTU F&B Innovation Lab this afternoon, together with NTU President Professor Subra Suresh and Mr Lee Meng Tat, CEO, Non-Alcoholic Beverages of F&N. This is F&N’s first long-term joint research partnership with an academic institution. “We are delighted to partner NTU in its Food Science and Technology programme. This partnership offers us the opportunity to tap NTU’s strengths in research excellence as well as its cutting-edge facilities to enhance innovation. We are excited to bring these innovations to fruition in the commercial world,” said Mr Lee. “In line with our commitment to deliver sustainable business practices, our collaboration with NTU will see the furthering of our green efforts as well as catering to the health and nutritional needs of our consumers,” he added. Located at NTU’s School of Chemical and Biomedical Engineering, the F&N-NTU F&B Innovation Lab is spearheaded by NTU’s Food Science and Technology (FST) Programme and F&N’s Research & Development (R&D) department. Professor William Chen, Director of NTU’s FST Programme, and Dr Yap Peng Kang, Head of Corporate R&D of F&N serve as co-directors of this lab. To date, the partnership has identified several joint research projects. Besides developing new beverages with additional health benefits, other research projects will also look into maintaining the freshness of products as well as developing new solutions for environmentally friendly packaging.